Marketers seem to love using the term the “moment of truth,” or MOT (Marketers love acronyms too). 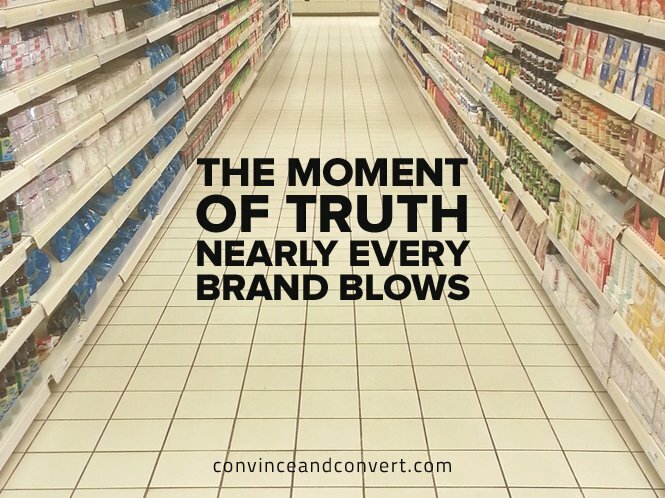 In 2005, in the Wall Street Journal, Procter & Gamble defined “The First Moment of Truth” as the three to seven seconds after a shopper first encounters a product on a store shelf. In 2011, Google defined the “Zero Moment of Truth” (loosely) as the moment you start learning about something you’re thinking of trying or buying on your web device of choice. Today, I want to discuss another MOT. I don’t believe it matters what number you give it, but I do believe that any brand looking to convert prospects to customers with their website should consider this to be their most important moment. The moment occurs when somebody is on your website, interested in what you sell, and in need of answers. Call it “The Question Moment of Truth,” QMOT, if you like. We’re talking about “convincing” a prospect to inquire and “converting” them into a buyer. So I was thinking: Who better to probe than Convince and Convert founder Jay Baer? Jay agreed, and we had a fun 21-minute chat. Watch it here, read the highlights below, and join the conversation if you’d like. Could Content Possibly Appease Everyone? Barry: Do you think brands are responding well enough to this moment when somebody gets to your website? Jay: No, I don’t, not generally speaking. I feel like too many organizations still feel like there’s a reason for somebody to come to their site other than if they have a question or have a problem. I think a lot of brands still believe they are somehow competing successfully against Facebook for attention. Somehow going to their website is going to be valuable entertainment. And so we are at a point, a transition phase, where business websites are going to become less, not more—and should—because nobody wants to go to your website unless they have a very specific task in mind. Barry: I think a lot of marketers in the generation of content marketing think the panacea for solving their customers’ problems is publishing. Certainly you and I believe in the idea. But does content help convert in each and every case when people come to your website? Jay: Definitely not. Just because content exists doesn’t mean anything. Just because somebody comes to your website doesn’t mean anything, it does you no actual good, unless the person who comes to your website then takes a subsequent action, which either takes them closer to a purchase or makes a purchase. So this idea that you should just make more content because you should make more content is a fool’s errand, and is also really expensive. Every single year three out of four marketers say they’re making more content this year than ever before. Eventually not all of that content can succeed, and a lot of it is people just running in place. Does Customer Experience Trump Price? Barry: Your book, Hug Your Haters, gets into the buying experience, and it’s largely about customer service. Do you concur with that idea? Jay: Absolutely. In fact, there’s other research that says that by 2020 customer experience will be more important than price in the buying decision. People will pay more for a better experience. Now, that already happens in some businesses. You’ll pay more for a better hotel. You’ll pay more for a better restaurant. But the concept is that faced with an equivalent product and an equivalent price, the quality of experience will be the determining factor. Every prospective customer has a set of expectations about how every interaction with a brand or business will go. Now, in many cases, they can’t tell you what they are, but they have them. The businesses that can exceed those expectations are the businesses that are going to win. And the businesses that consistently fail to meet those expectations are going to be the businesses that fail. Barry: I just read something that says customers remember service a lot longer than the price. So a couple years later, we might be talking about the dealership that sold us the car, and we’re not going to remember the price, we are going to remember the service. Jay: In Hug Your Haters, I cited research that shows customers who have a problem with a business and that problem is successfully resolved become more loyal to the business then customers who never had a problem. It’s almost like the Stockholm syndrome. It’s like, “Okay, I’ve now fallen in love with my captor because we had this problem, and we fixed it together, and now we’re all in this together. And it creates this very important psychological trigger. So what I think, because I’m Machiavellian, is, “What kind of problems can we create for customers that we know we can solve to create that effect and boost loyalty?” It’s a fascinating concept that problems can be a good thing—not a bad thing. Is Digital Deep-Sixing Customer Service? Barry: Do you think, in this age where that moment of truth is largely the e-commerce experience, that the move to digital marketing is making great customer service harder to come by? Jay: Yes and no. It giveth, and it taketh away. 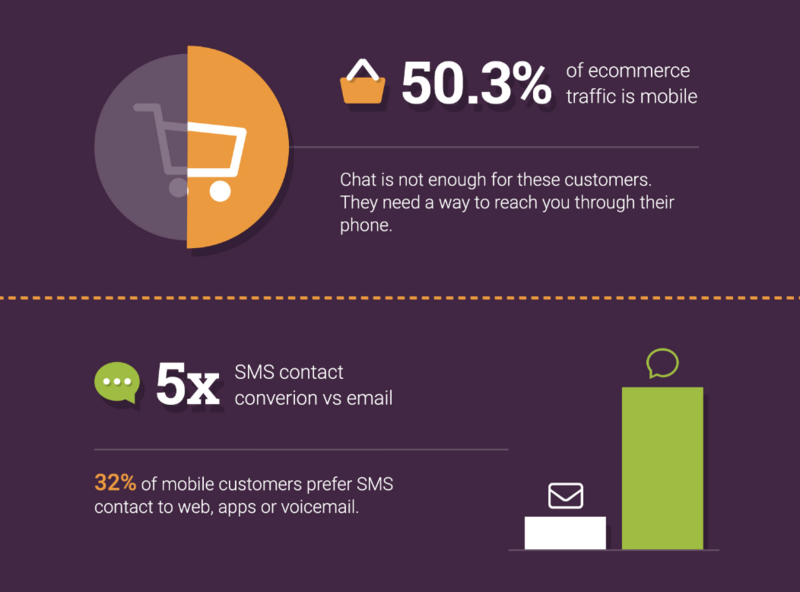 Digital marketing creates digital customer service opportunities. The bad news, as we talked about in the Hug Your Haters book, is that people tend to complain online more than they complain offline. Not as a percentage, but it’s just easier to complain online. It’s easier to complain in an app on a smartphone than it is to call or email. So it is harder to deal with that volume in some cases, because businesses are typically not set up today to use Facebook or Twitter, what have you, as a primary source of customer service. So that can be a little bit difficult operationally. The good news is that from an expense standpoint, it is manifestly less expensive to interact with a customer on Facebook, Twitter, and beyond than it is via phone or email. Barry: Our friend Andy Crestodina says, “Where’s there’s traffic, there’s hope.” Does hope die when the visitor gets to your website, and they can’t find what they’re looking for? But that’s exactly how websites work. And we do not focus enough on the fact that in one second, somebody should open your site, and they have to assess all their options and sort through your terrible navigation and your bad design and then click and hope that they get what they wanted. And then they don’t, and they get to go back, like this weird game of informational peekaboo. Ultimately, other than graphics, which have gotten better of course, I don’t know that websites in general are any better or easier to use than they were fifteen years ago. How About Offering Visitors a Panoply of Options? I mentioned Bontact. The company makes a plugin enabling website hosts to offer visitors an instant dialogue via their preferred channel: chat, text, phone, or email. Jay: It’s a great idea, because this idea that everybody has to chat us doesn’t make sense. Some people hate live chat, but some people love it, and this idea that everybody has to call us doesn’t makes sense because people don’t want to wait on hold. People have different preferences for contact modalities, the same way that people have different preferences for content consumption, which is why if you’re creating content marketing, the best possible scenario is it’s not a video or an ebook, it’s a video and an ebook, and whatever else. Because some people want to consume video, and some want to read. So what Bontact does is say, “Look, we’re going to give you a panoply of options, and you choose. We’re here for you however you pick. We’ve got you covered.” It’s brilliant, and more people should think that way. Barry: Do you think having fast access to a customer service person actually moves the needle for online sellers? Jay: Yes, if that is introduced at the right point in the funnel. If I have exhausted my self-serve information and I’m like, “Yeah, I’m pretty ready, I’ve got a couple questions left, and I can’t figure out how to answer them,” why don’t you just tell me the answer at that time? Then, for sure, talking to a person is way faster. If it’s earlier in the funnel, though, and I’m not even sure you’re the right guys, you’re still in the consideration mindset, or I still have very big questions to get answered, then no, then it’s actually annoying. You’re like, “Wow that was awesome, thanks very much.” But when you walk in and the first thing they say when you’re only six inches in the door is, “Can I help you find something?,” you’re like, “Too soon, man.” I don’t know if you can help me find something. So it’s all about timing: engaging that assist and offering the assist when the customer wants and needs that assist. Barry: It is indeed a moment of truth, and it matters most what the customer is thinking and where they’re at. But it doesn’t seem like a very interesting response to say to somebody walking around with jeans in their hands, “We have a great ebook about how to size your pants.” Right? Jay: Right, because all the effort is from the customer. It’s like, “We’re not going to tell you. You have to learn this yourself.” And some people prefer that, like, “Look, I want to read it myself, I don’t ever want to talk to a real person.” That’s the case in some circumstances. But I completely agree. And that’s how this is. Introduced at the right place in the funnel, you’re like, “Thank you, you’re here.” What’s annoying, though, is when it’s introduced too soon. Does This Approach Make for Easy Market Research? Finally, I asked Jay: When companies do offer a variety of communications channels to communicate with buyers and address their needs, are they underutilizing it as a market research opportunity? Jay: Yeah, it’s frustrating for me that we have all this raw material lying around our companies—whether it’s chat transcripts, whether it’s emails, whether it’s phone call transcripts, whether it’s observations from sales people—our customers will tell us what to do and what they want, but we just don’t listen very hard. We keep that data in individual silos. We don’t analyze it. Your current customers are the petri dish for your future success. We just don’t think of it that way. We’re so focused on customer acquisition that we don’t spend enough time thinking about customer retention, and certainly not enough time thinking about what our current customers can tell us about what we should offer in the future.